We have introduced a few surge protectors with USB ports, but if you need more USB ports or a more convenient charging way, the Zaryadkus USB wall outlet with integrated holder would be a nice solution.Zaryadkus USB socket is a very practical design concept from our familiar Art Lebedev Studio, and designed to offer you a convenient way to charge your USB gadgets like iPhone, Android phone, tablets and more. 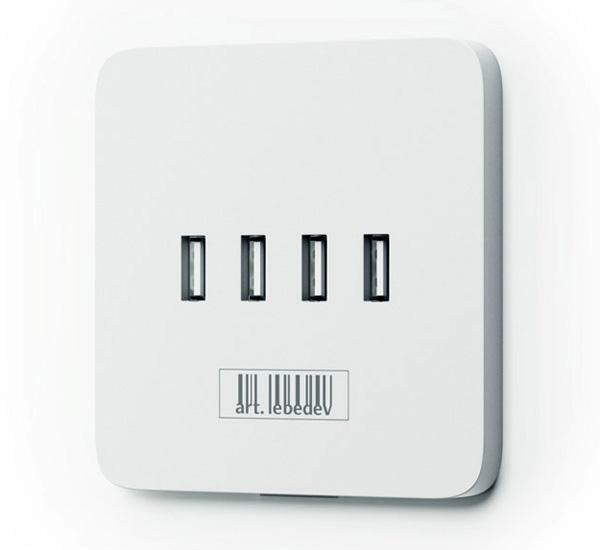 As we can see from the images, there is no grounded outlet for your electric devices, but the four integrated USB ports allows you to charge up to 4 USB devices at the same time. 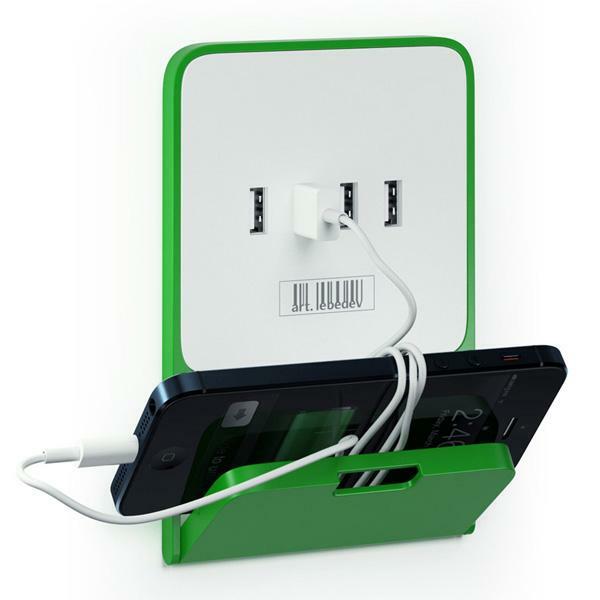 Most importantly, the USB wall outlet also features a retractable holder to hold your mobile device in order to prevent it from accidents. 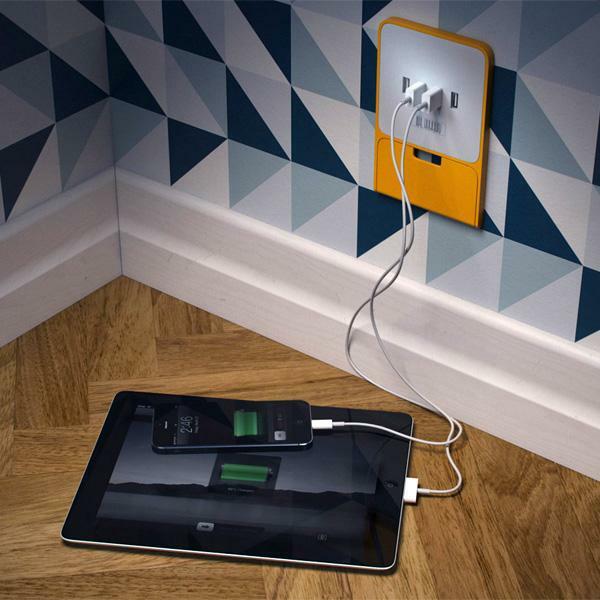 After the break, check out the images about the practical design concept.Additionally, if you need a few available options, you might like to check U-Socket wall outlet and the compact USB surge protector.